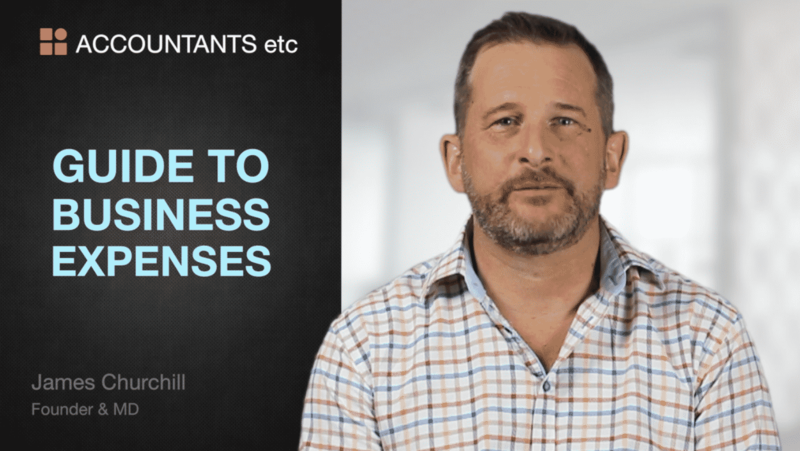 If you run a limited company, the information below will help you to work out what business expenses you can claim tax relief on. Claiming tax relief on expenses is an important part of your finances and is one that directly influences your profit as a limited company. It's essential that you know exactly what can and cannot be claimed through your business. By working through a limited company, all of your taxable profits are affected by corporation tax. Corporation tax is payable at 20% on profits up to March 31, 2017, and 19% from April 1, 2017 onwards. 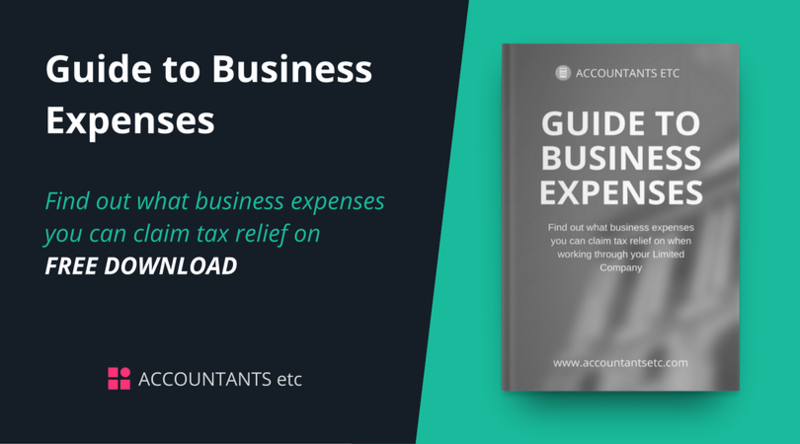 Business expenses and corporation tax are linked when it comes to tax relief. You have to pay corporation tax on your taxable profits before you can claim a dividend, so you are also entitled to a degree of tax relief on the costs of the business. It goes without saying that you must keep detailed and accurate records of all this information in order to ensure that your expenses have been taken care of properly. Any expense you claim must be in line with HMRC’s guidelines and legislation. This means that all expenses claimed should be ‘wholly and exclusively and necessary’ for your business. HMRC require that you keep all purchase receipts for your business. In the event of an inspection, if you do not have receipts, HMRC will assume the expense is not a valid company expense. In addition to the costs your company incurs through its bank account, you and your employees may claim for expenses that you have incurred on behalf of the business and are reimbursed. Nobody can avoid the scrutiny of HMRC. If the tax office decides to investigate you and your business you have no option but to work with them. The chances of being investigated by HMRC may seem pretty slim when you consider the size of the working population - remember, however, that each and every time you approve your company’s corporate tax return you are saying that everything has been done correctly. You should be aware that HMRC conducts regular reviews on random samples of people, and specific investigations take place based on suspicious behaviour. You could become the subject of the HMRC’s attention at any time so it is vital to ensure that you have taken care of all your taxes and expenses in the correct and proper fashion. There are different things to consider when claiming travel and subsistence expenses. The length of a contract must be taken into account, as this can affect what you can claim through your business. This comes into effect when you are considered to be travelling to and from a temporary workplace. When this is the case, you can claim tax relief. HMRC says: "If an employee has spent, or is likely to spend 40% or more of his or her working time at that particular workplace over a period that lasts, or is likely to last more than 24 months,” then the workplace is not temporary and travel expenses cannot be claimed. Every time you claim you must take into account whether or not you will breach this legislation. If you have a contract that you expect to last for 18 months, you can claim for travel. If at the end of that contract, you are offered a 12-month extension, you will be breaking the 24-month rule and will have to stop claiming it at this point. You can claim for meals while at your temporary workplace. Occasionally, you will also be able to claim tax relief on meals that you have bought due to a disruption in your normal work schedule. For example, if one month you had to go into work at 4am (compared with your normal time of 8am) you would be able to claim your breakfast as an expense, as this would be deemed as outside of your normal routine. If you provide a subsidised canteen available to all your company employees it is an allowable expense. Mileage can also be claimed for business trips or any other travel that you have undertaken for the purpose of your role. * Each figure is counted per mile in a tax year. You cannot claim maintenance or repairs in addition to your mileage claim as it is covered in the allowance. When using your car for business travel you must keep detailed and accurate mileage records. Parking fees and toll charges are also allowable business expenses. Speeding, parking or any other form of road-related fines are not allowable for corporation tax even if you decide to reimburse them if they were incurred during business travel. Anything you claim in relation to travel is not based on allowances and you must keep all your receipts to prove that the travel is ‘wholly and exclusively and necessary’ for business purposes. Some directors and employees often have to take business trip as a part of their job. If this applies to you then you can claim back any travel and accommodation as tax relief. You cannot claim expenses on clothing you wear in your day-to-day life. However, if the clothes you wear to work feature a prominent, non-removable logo, it can be claimed for. A suit is not something that you could claim back, as standard business etiquette requires you to wear one and not your job role. Safety equipment, including boots and protective clothing that are specifically required for your business, can be claimed and are eligible for a tax deduction. However, be wary of HMRC’s attitude towards dual purpose clothing, known as duality of purpose. It’s for this reason you cannot claim for a suit, but you can claim for a uniform that you would wear exclusively for work. As long as computer equipment has been ‘wholly and exclusively’ purchased to help you in your work role, it can be recorded as a business expense. If it has a useful life of more than a year it will be capitalised as a fixed asset. Computers, software, printers and other fixed assets of this nature are all eligible for capital allowances. You should be aware that the rules for this for a director/shareholder are different from those that apply to a normal employee. You can provide training for your employees and any courses which are relevant to your business can be deducted against your corporate tax. There is no tax impact on your employee(s) for such relief. If you are a director and shareholder you can claim for a tax deduction on a course that will keep you up to date within your industry. For example, if you attend a training course aimed at updating your existing set of skills, this can be claimed as an expense. There are special rules when a director or shareholder takes courses which give them new skills. Speak to us at Accountantsetc for specific advice. Your job may require you to be a member of an organisation that is specific to your profession. You may also need to subscribe to certain resources to fulfill the obligations of your role. Tax relief is available on these capital types of professional fees. To claim you must be “registered, obtained a license or have become a member of the organisation in question because it’s necessary to your work”, and that organisation must have been approved by HMRC. Journals and industry magazines that are needed for you to carry out your business are eligible for tax relief. Office stationery, computer materials (such as printer paper) and postage items can all be claimed as an expense if they are directly for business use. You can claim for one eyesight test per year per company employee as long as it is necessary with regards to the continued use of any visual display technology that you may use for your job. Due to the duality of purpose rule, you cannot normally claim for glasses as it is likely you will wear these most of the time outside of work. If you or your staff have a phone registered in the name of your business you can claim corporate tax relief on the entire amount of the fee. This includes personal calls, so you do not have to repay the business for calls that do not directly relate to work and there is no personal benefit in kind. If you register a phone in your own name, you can only claim tax relief on the calls made for business purposes. If you have to work from home, you can claim a proportion of the calls as tax deductible but not the line rental. If you need to increase your broadband capacity for business, you can also claim some tax relief on this. If you work from home and have a dedicated space within your house or flat which is set up solely for work, you can charge your company a proportion of rent and utilities as an expense. But be aware that this will impact your tax relief when you come to sell your house. If your employees work from home and do not have an office or a dedicated work room set up in your house then you can claim £4 a week towards the costs of rent and utilities (no receipts are needed for this). If you need to temporarily relocate a member of staff in order to fulfill a business contract you may be able to claim tax relief on a part of the rent you pay for the accommodation. A donation must be to a registered charity for you to be able to claim corporation tax relief. You can claim for a “reasonable amount that will not turn a profit into a loss”, according to HMRC. You may be required to move in order to complete a contract. You may be able to provide a relocation allowance. If you are moving for less than a two-year period you can claim back some costs. Up to £8,000 of certain specific expenses can be claimed to cover the cost of your move. However, as a place to live is not deemed to be ‘wholly and exclusively’ necessary in business terms (even if you are moving for work), you cannot apply for any more. Business advertising is an allowable expense. You can also claim for mailshots, free samples and website costs. Some stationary can also be used for advertisement purposes and this can be claimed as a legitimate business expense. If you have employees, and certain director contracts you will need to offer auto enrolment pension schemes. You can either offer the statutory minimum (currently 1% for the employee and 1% for the employer), or enhanced contributions of up to £40,000 per annum). These are allowable for corporate tax and are a tax efficient way of extracting money from your company. Professional fees incurred from companies such as accountants or solicitors are generally available for tax relief if the work done is related to your limited company. However, if the charges relate to capital items these may not be allowable (depending on the circumstances). If your company pays an accountant additionally for a self-assessment service this should be recorded as a benefit linked to that individual. Bank charges and interest are allowable expenses. If you have a company credit card, it should be used for business expenses only. If non-business expenses are charged these should be reimbursed to your company. Any card fees you incur, and any interest charged are allowable expenses of the company. There are certain things upon which limited company companies should not claim tax relief. You need to submit a corporate tax return for your company on an annual basis. This is prepared on a self-assessment basis, and when you approve it, you are confirming that everything has been treated correctly. If items are not “wholly and exclusively and necessary” for the purpose of a business they are not allowable as a deduction from corporation tax. Taking a loan out of your business can potentially be very expensive. If you have a loan of more than £10,000 at any point in the year, you will have to declare it on your P11D and pay Class 1 National Insurance Contributions on the deemed interest, or reimburse the interest to your company (this would be taxable income of your business). If there is an outstanding directors' loan of any amount at your company’s year-end, advance corporation tax at 32.5% is payable unless the full amount is repaid within nine months of the year end. Special ‘bed and breakfast’ rules apply if you subsequently re-borrow from the company. Advance corporate tax may still be payable depending on the amounts involved and the period between repayment and reborrowing. If costs are not wholly, exclusively and necessary for the running of the business they are not allowable for corporation tax relief. While entertaining your clients can be treated as a viable business expense, you may not be able to deduct this when calculating Corporation Tax. The amount of the gain depends on what allowances and reliefs are available, and what are the relevant costs.